In 1907 the Mint Bar opened for business in the heart of downtown Sheridan. At that time, ice was delivered in horse-drawn wagons to the bar’s ice box, and bartenders wore long white aprons, serving drinks across a mahogany bar. During prohibition, a “speakeasy” was quietly operated in the back room. Upon repeal in 1933, the Mint Bar reopened and an addition was built on the back of the building to make room for slot machines, roulette wheels, and gaming tables. The Mint was completely redecorated in the late 1940s in the rustic style seen today. 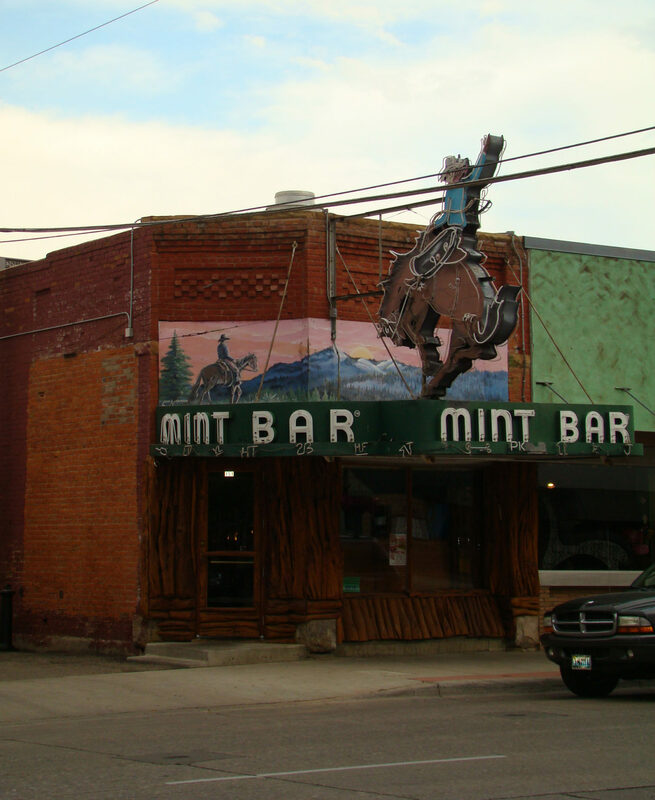 “Meet you at the Mint” is still the by-word of cowboys, ranchers, and dudes in Sheridan.